Food4Farmers is a non-profit collaboration of specialty coffee industry and international organizations that work to alleviate hunger in the impoverished coffee growing regions in Latin America. They advocate for and strategize about how to help coffee-growing communities overcome food insecurity. This responsive WordPress website allows the site managers to update and promote their ongoing efforts to raise funds and awareness for both their audience and the coffee drinking world. 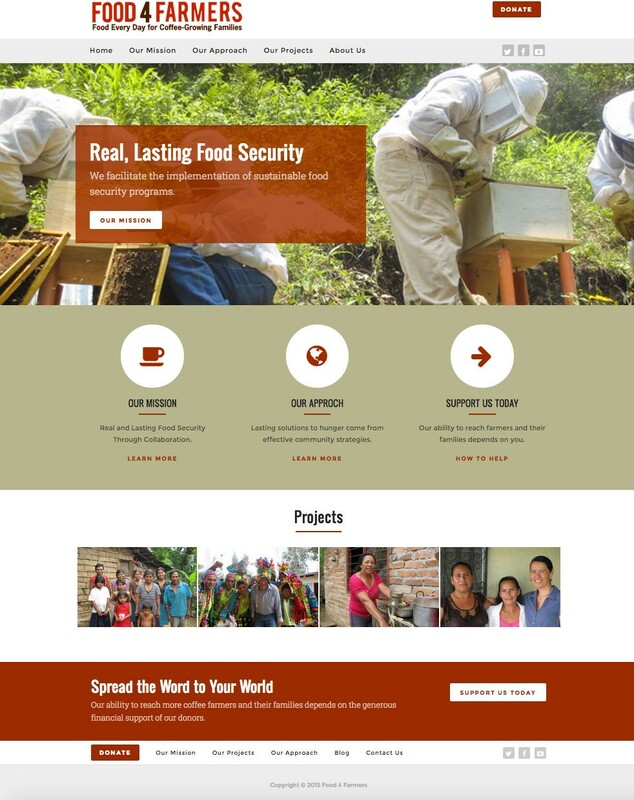 The site has both English and Spanish sections, and a whole world of beekeeping information – especially on the Spanish side. Built on the Collab theme and customized to suit.